HCJ 825/19, Hazma et al. v. Head of the Civil Administration in the West Bank et al. 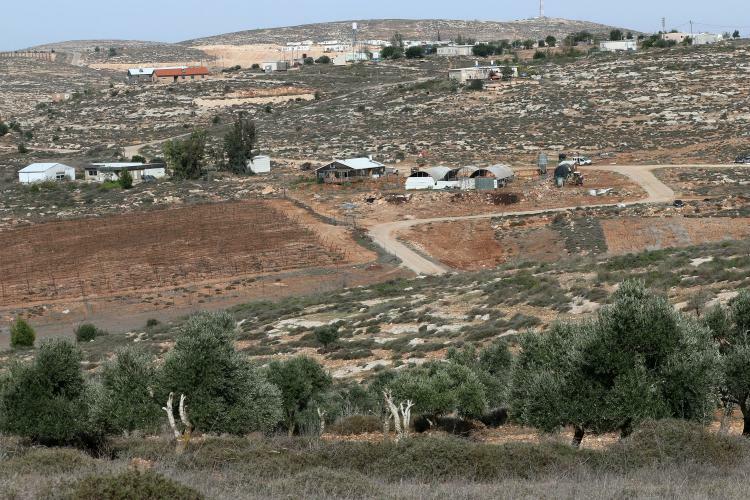 Landowners from the Palestinian villages of Turmusayya and Jalud, with the assistance of Yesh Din, petitioned the High Court of Justice against the head of the Civil Administration and the Custodian of Government Property, demanding that the court overturn their decision to expand the State land declaration. The declarations were made without granting impactedlandowners the right to appeal the decision before an independent judiciary. Amending the declaration expands the scope of State land in the area, which is intended to enable the State to retroactively legalize the unauthorized outpost. In 2014, landowners and council heads of Palestinian villages, filed a petition along with Yesh Din, demanding the eviction of the unauthorized outpost of Adei Ad, claiming that it is both a focal point for ongoing harm to residents of the surrounding Palestinian villages, and partially built on private Palestinian land. In order to prevent the evacuation of 24 structures in the outpost, in 2017 the Civil Administration decided to implement an “amendment to the declaration” made in 1991, implying an expansion of State land. In 1991, the Civil Administration requested to declare the territory belonging to the villages of Turmusayya and Jalud State land. At the time, residents of the villages appealed both declarations to the Military Appeals Committee. The results of these appeals are not fully known, and the Civil Administration claims that some of the relevantdocuments and maps have been lost. The procedure for “declaration amendments,” carried out by the Civil Administration’s “Blue Line” team, came into effect in 2015 after it was revealed that for 16 years the Civil Administration had covertly expanded the scope of areas declared State land without publishing, thus preventing objections. The new procedure stipulates that the intention to amend declared areas must be publicized and that landowners may object to amendments. The objection, as determined by the procedure, will not be heard before an independent judicial body, but will rather be submitted to the head of the Civil Administration, who is in charge of the Blue Line team. Thus, an unacceptable situation has arisen, whereby the objection to the decision will be resolved by those appointed to make the declaration in the first place. In contrast to an “ordinary” declaration of State land, in which landowners or other parties that object to a declaration may file an appeal to the Military Appeals Committee, the procedure relating to “declaration amendments” merely affords landowners the right to file an objection, as mentioned, without appealing their case before a judicial body. In contrast to the appeal hearing, the appellant cannot investigate the decision-making party concerning their rationale, be exposed to relevant documents, and ultimately receive a justified decision by an independent judicial body comprised of jurists with expertise in real land law. The decision ultimately remains at the behest of the Civil Administration. In 2017, the new procedure was implemented in relation to “declaration amendments” in the area of the outpost of Adei-Ad as part of the State’s efforts to advance the legalization of the outpost of Adei-Ad. As part of the procedure, landowners assisted by Yesh Din filed objections with respect to the “declaration’s amendment.” Among other things, the objection claimed that in view of the existence of appeals (from 1991) relating to the area where the Blue Line team carried out its work, the Civil Administration had to implement a new declaration or submit a request to the Appeals Committee to reopen the hearing of the appeal. It was further claimed that in the process of “amending declarations” there were many significant flaws, including: problematic interpretations of aerial photos that ignore evidence of land cultivation; substantiation based on irrelevant aerial photos of poor quality; dismissing the fact that in 1967 the land was already in the process of land registry, which was frozen upon occupation of the West Bank; and disregarding judicial decisions on difficulties that arise from declarations made relating to land on which land registry processes commenced, among other things. Toward the end of 2018, the head of the Civil Administration rejected the objections submitted. The petition demands the revocation of the decision to extend the scope of the declaration (“declaration amendment”) of State land, and to annul both the decision regarding the objection and the procedure in place for “declaration amendments.” The petition states that “[…] Not only does the procedural structure for objection to the declaration, as stated in the procedure, substantially diminish the rights of the petitioners and other objectors who seek to receive their day in court before an independent and impartial judiciary (which is offered without exception to their neighbors, indicative of institutional discrimination) , but even in substantive terms, the decision of the first respondent [the head of the Civil Administration] was carried out in violation of the law, in contrast to judicial decisions, in a manner entirely lacking transparency and conveying the arbitrariness that ultimately results from irrelevant considerations — the desire to legalize the outpost of Adei Ad at all costs.